Current interest in research of solidification of melts is focussed to understand crystal nucleation and crystal growth. They determine the solidified product with its physical properties. A detailed description of these processes lead to the development and validation of physical models, which may form the basis of quantitative modelling of solidification routes in e.g. casting and foundry processes in order to develop a predictive capability in the design of materials during solidification. 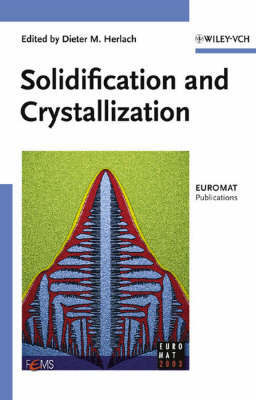 This book, based on a symposium held at EUROMAT 2003, aims to gives an overview on current developments in the research of solidification and crystallisation of liquids. The materials of interest range from metals and their alloys over semiconductors and isolators to organic substances.